We've always dreamed of being able to spend a night in a Disneyland ride—say an evening in the Tower of Terror or the Haunted Mansion—but we never even thought about an early morning breakfast. 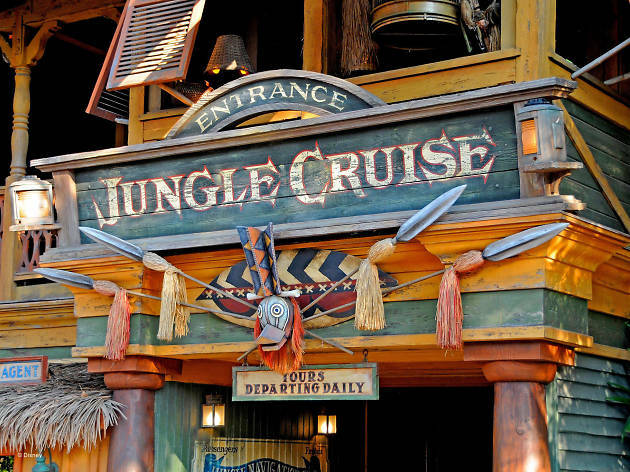 Thanks to the Jungle Cruise Sunrise Safari Breakfast, you'll be able to enter the attraction's thick jungle before the park opens to the public. Come hungry for an early morning meal on the African grasslands—hopefully next to the animatronic lions and their zebra feast. Your meal will be decidedly zebra-less, thankfully, and instead includes pastries, fruit and chia parfaits, glazed pork belly bacon, pan-seared sausage and roasted gold potato and onion. 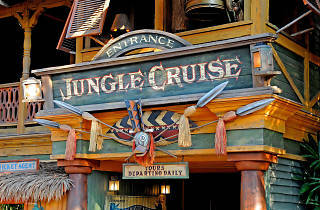 Afterward, you'll get a private cruise through the attraction and have the chance to take over the wheel and recite its wonderfully corny spiel. As proof of your initiation into the "Fraternal League of Secret Skippers," you’ll receive a tribal mask inspired by the ride's original concept art as a keepsake. Unfortunately, the entire experience is prohibitively expensive: $300 person, and that doesn't include park admission. In fact, after your cruise, you'll be escorted out of the park, lest you think you can hop on Space Mountain before the park opens. The breakfast cruise runs from September 21 to December 2. Reservations are also extremely limited and only available 60 days in advance; we were able to find a few time slots toward the end of this month, assuming you're alright with 5:30am.